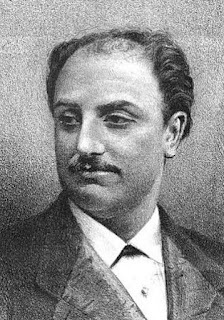 Antonio ‘Toto’ Cotogni, who achieved international recognition as one of the greatest male opera singers of the 19th century, was born on this day in 1831 in Rome. Cotogni’s fine baritone voice was particularly admired by the composer Giuseppe Verdi and music journalists wrote reviews full of superlatives after his performances. Cotogni studied music theory and singing from an early age and began singing in churches and at summer music festivals outside the city. He made his opera debut in 1852 at Rome’s Teatro Metastasio as Belcore in Donizetti's L’elisir d’amore. After that he did not sing in public for a while, concentrating instead on building up his repertoire. 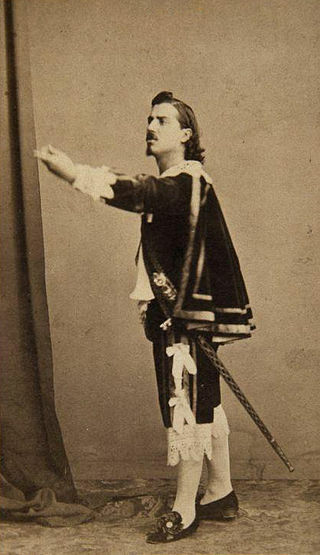 After singing in various Italian cities outside Rome he was signed up to sing at Rome’s Teatro Argentina in 1857 in Lucia di Lammermoor and Gemma di Vergy, also by Donizetti. Later that year he performed in Verdi's I due Foscari and Sanelli's Luisa Strozzi at Teatro Rossini in Turin. He met the soprano Maria Ballerini there and married her the following year. His major breakthrough came in 1858 when he was asked to take the place of the famous baritone Felice Varesi in Nice. Varesi’s fans felt that Cotogni, who was virtually unknown, should not have been chosen to replace the popular singer. He was engaged to sing Antonio in Donizetti’s Linda di Chamonix but was greeted with noises and whistling before he had sung a word. The audience fell silent as he sang his opening aria and gave him thunderous applause afterwards demanding an encore. His performance revealed him to be a master of his art and Antonio became one of his signature roles. Cotogni made his debut at La Scala in Milan in 1860 and after overcoming his initial nerves, he won over the notoriously critical audience. He appeared at the leading opera houses in Madrid, Lisbon, Paris, Moscow and Saint Petersburg and became particularly popular with London audiences, performing at the Royal Opera House regularly from 1867 to 1889. The famous baritone gave his last operatic stage performance in 1894 in Donizetti’s Don Pasquale in Saint Petersburg. Cotogni became a celebrated vocal teacher in retirement, teaching first at the Saint Petersburg Conservatory and then at the Accademia di Santa Cecilia in Rome. He taught dozens of celebrated singers during his retirement between 1894 and 1918, the year in which he died in Rome just before the armistice ended World War I.
Cotogni sang most of the major Verdi baritone roles and the composer himself praised the beauty and strength of his voice. Verdi heard him privately in several of the key pieces from Don Carlo and was moved to tears by his singing of Rodrigo’s death scene. Verdi had his own nickname for Cotogni, calling him mio ignoratino - my little ignoramus - which he used not in an insulting way but in teasing the singer for his unfailing modesty, humility and deference. Cotogni was an exceptional teacher and was able to pass on to his pupils what Verdi had said to him about the arias and elements of the operas that had been changed in rehearsal. Academy. 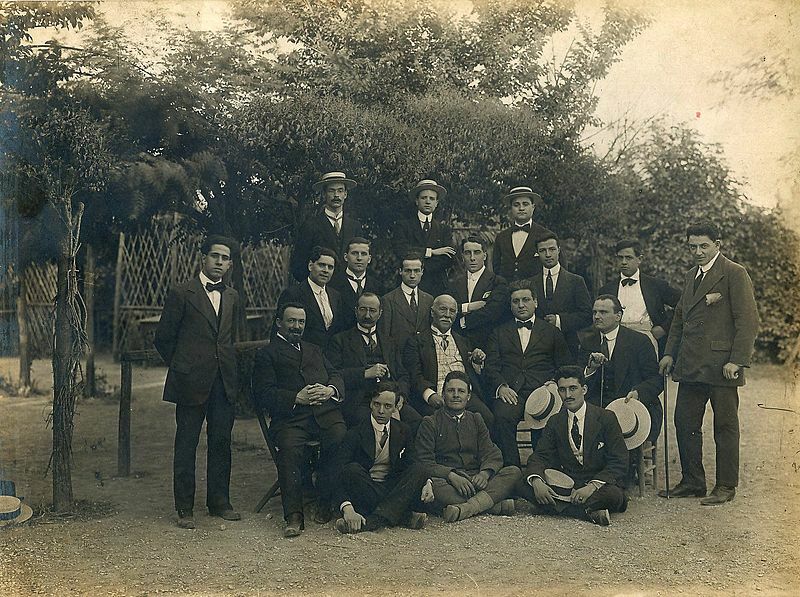 Beniamino Gigli is on the right at the back. Working with him was the young Luigi Ricci who would later become a vocal coach. Ricci took meticulous notes on information that Cotogni passed on to his pupils about things that had been changed in rehearsal but had never been officially recorded, as well as traditions begun by singers from the previous century. Ricci eventually compiled a four-part collection, Variazioni-cadenze tradizioni per canto, which recorded this information for posterity. At the age of 77 Cotogni recorded a duet with a much younger tenor for the gramophone. Although his voice was not the same as when it had moved Verdi to tears, it is a permanent reminder of the singer who had entranced audience throughout Europe for 40 years. It is also the oldest voice ever recorded for the gramophone as Cotogni had been born in 1831. 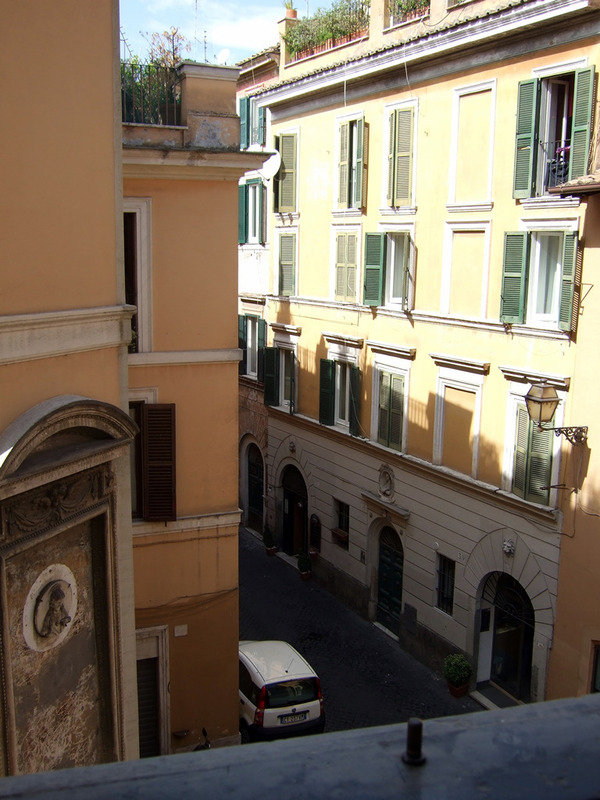 Antonio Cotogni was born at number 13 Via dei Genovesi in the Trastevere district of Rome and there is a commemorative plaque on the house. Trastevere, once a working-class part of the city, is now one of Rome's most fashionable neighbourhoods, certainly among young professionals, who are attracted by its pretty cobbled streets and the wealth of inexpensive but chic restaurants. 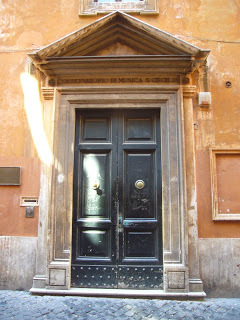 The St Cecilia Academy - Accademia Nazionale di Santa Cecilia - where Cotogni taught singing, is one of the oldest musical academies in the world. It was founded in Rome by Pope Sixtus V in 1585 at the Church of Santa Maria ad Martires, better known as the Pantheon. Over the centuries, many famous composers and musicians have been members of the Academy, which lists opera singers Beniamino Gigli and Cecilia Bartoli among its alumni. Since 2005 the Academy’s headquarters have been at the Parco della Musica in Rome, which was designed by the architect Renzo Piano.